"What do you feel like doing today?" I'm on the road again and I see it is a long time ago that I wrote any post. Actually I didn't feel like writing even if I love it. It is like a therapy for me and a relief for my busy mind. But I just didn't feel like. I have never been here and my friend Verena I have met in Barcelona liked it a lot, here I found a volunteer place to learn about Permaculture which I'll start soon (don't ask me what it is exactly, I just know that for 3 years I want to learn more about it). To be honest it wasn't easy to leave Mexico even if I know I'll be back soon. After my 4th Individual Mexico Yoga Tour I felt like settling down in Mexico City. It might surprise some people that I like this vast and crazy Moloch but here I found lovely people, places and I have many options to chose from. Sometimes I just need to feel like being in Europe but with the Mexican mentality. There you go! In Mexico City I can have both, Including Nature (yes! Mexico City is quite green and is close to the mountains). This post is about The Art of Being Connected with Your Own Rhythm. A model that could lead to more productivity, creativity and satisfaction. 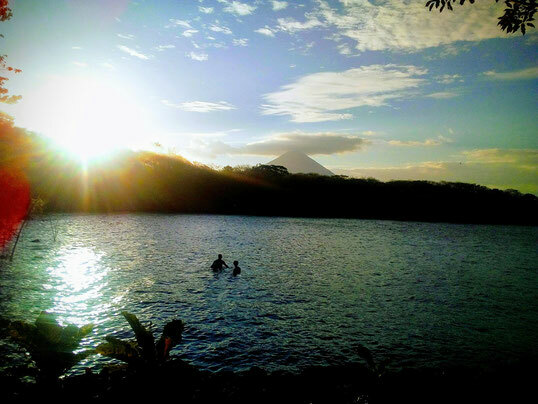 Nicaragua is quite a small country and you can reach everything easily in one day. It is also easy to get from one place to another. 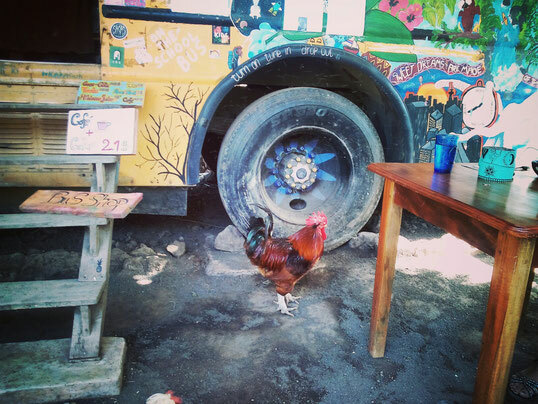 You can take local Chicken busses (more time taking but very cheap; trip from Granada to Rivas cost like 2 EUR), vans (faster and still cheap; Managua to Granada 0,80 EUR) or so-called colectivo taxis (fastest option and a bit more expensive). In Managua the main transportation is by colectivo taxi. The vans to get to Leon or Granada go from the bus station UCA. Often the van ride is less expensive as the colectivo taxi. Food is quite inexpensive and very tasty! In Nicaragua they eat lots of Yuka combined with meat. Try out Agua de Guayaba which is very refreshing and tastes great. Most of the people talk English as well if you don't speak Spanish. In general people are very helpful and friendly here. One thing to know about is, that washing laundry is quite expensive in comparison to Mexico or other places in South America. 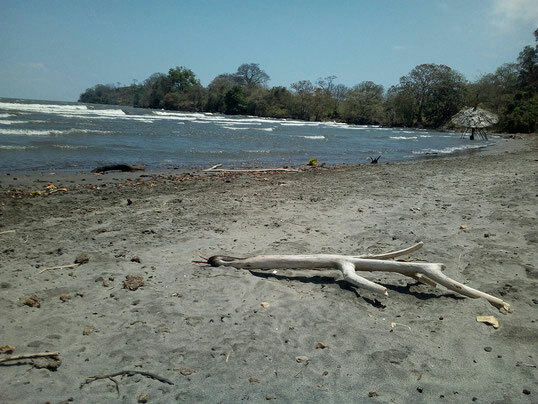 So, during writing this I'm on an Island called Ometepe. 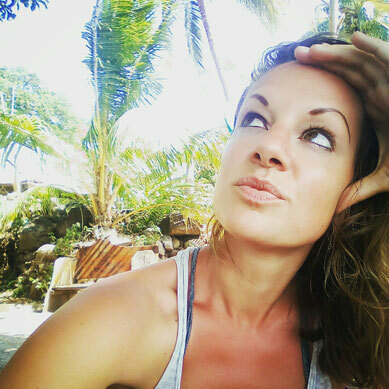 An island where you have lots of mangos, bananas, monkeys, beautiful blue white birds, happy pigs and chickens walking through the street. The people are very friendly here and I haven't seen any police around nor do I feel insecure. It is really beautiful here even if I really love Mexico which I'm calling my home at the moment. Time for siesta. 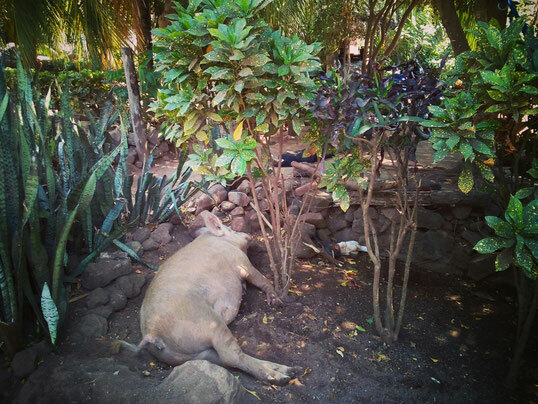 On the island there are many pigs walking around freely and just have a good time. Here on this island the sun rises around 5.00 am and it gets dark around 6.00 pm. When I say dark than I mean so dark that you just have the moon light that shows you the way (or your headlamp or phone if you have enough battery and not like me who forget to charge my phone and my headlamp...). There are no street lamps. First I was a bit nervous to walk through this darkness, just listening some motorcycles passing by, bicycles (also without light) and people on horses (yes, one of the main "transportation" is a horse here). It might sound weird but I was never really scared of the darkness thanks to my mum's unlikely way to face it.... I kind of like the darkness. Often I don't turn on the lights when I need to go to the bathroom during the night. My mum has a very dark sense of humor. When I was a child and I needed to go into my grandmother's basement my mum used to say "down there is waiting a three-headed monster for you...", Well sounds shocking but actually due to I went anyway into the basement and never saw any monster, I overcame my fear of the darkness. Why always suffer? I think of my loved ones, but I don't miss anyone. So after three days of this island Ometepe I'm now used to walk through the darkness and better prepared (got new batteries for my headlamp...). It is very interesting to watch everything what reflects the shine of my headlamp back. For example there is a quite big spider that has reflectors on its back and I can see it with my headlamp otherwise I wouldn't see it. And there are plenty of those spiders but they are just staying at there place and waiting for insects. Nothing more. This island is really a good place to come down, chill and to just ask myself "What do I feel like doing today?". A simple but profund question. A question that helps me to connect with my own rhythm and the rhythm of life. For example today in the morning I felt quite upset. The day started actually quite nice at 6.00 am, I joined a very good Yoga class in my hostel outside and had a good breakfast with fresh bananas from the garden. But there was a misunderstanding via WhatsApp about missing someone. I said that I think of this person but don't miss anyone. That doesn't mean that I like someone less or what ever. It just means I'm thinking of my loved ones but I don't miss them. Why should we always suffer when we think of someone? However, after this discussion I didn't feel good and was quite upset and felt misunderstood, same like the person did feel misunderstood. I just wanted to be on my own and was happy not to have any internet connection. At this moment for some reason I remembered a girl from Belarus who joined one of my hikes. She told me that she asked herself often "what do I feel like doing today?" and acts from that. She started from scratch her own Macrame business (see her beautiful work on Instagram) and has a very interesting story. I forgot about this question. I used to ask myself more often. It was part of my daily routine. A couple of weeks ago I remembered it again and talked with a friend of mine in Mexico City about it. So I asked myself this morning "what do I feel like doing?" and I decided to have something to eat due to it was around 12.00 pm. So the answer was easy in this case .-). Actually I wanted to write a post that morning but I really didn't feel like. It would probably sound like forced. So I walked through the heat, wrapped a pullover around my shoulders because I burned them the day before. I found a nice restaurant close to the beach. By the way the sand at the beach is dark due to the volcano on this island. 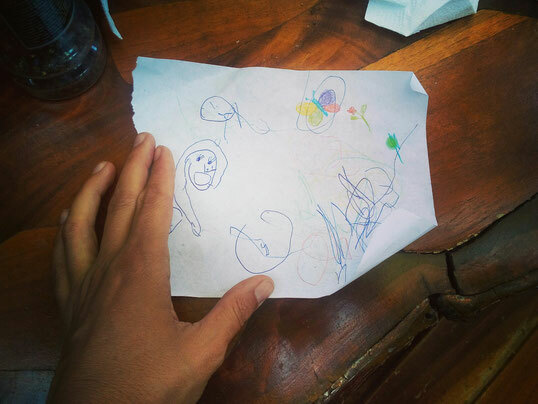 The Nicaraguan owner of the restaurant welcomed me and gave me the menu. I chose a vegetarian burger and a fresh pineapple-banana-juice and I took a seat next to the street to watch the beach on the other side. The owner sat next to my table with a guy who looked like a "Gringo" (guy from the USA). The owner asked me where I was from. I said Germany and this caught his friend's attention. He turned to me and said in German that his mum was German and his dad from England. He himself lived in England and worked online as teacher that allowed him to work from everywhere. I guessed him around 55 years old. He was actually quite handsome. He looked like the young version of Client Eastwood with very blue and friendly eyes. I bet that when he was younger lots of women would like him a lot. We started chatting in German while he had his second beer. I told him that I want to learn about Permaculture and it turned out that he does that in his garden in England. It was a very nice chat and I felt immediately better. After his third beer he mixed up German, English and Spanish and started laughing about his confusion. My food came and we stopped talking. He left after a while, said very friendly goodbye, put his kite surf equipment on his back and took his bicycle. For having already three beers he seemed quite ok. Well... he is half English :-). When he left I started writing in my notebook when the owner's little daughter came over, climbed on my lap and started to draw in my notebook. I gave her some color pencils and drew with her together. It was a very nice experience. After a while it was time to head on for me. The little girl said goodbye and her father just said "this is your house now! Feel free to come back when ever you want!". Yes! I felt very good now. "What do I feel like doing now?" This simple conversation with a stranger, the little girl and the whole atmosphere just helped me to clear my mind. I walked back to my hostel and asked myself again "What do I feel doing now?". The answer was: writing! And I started to write this post! 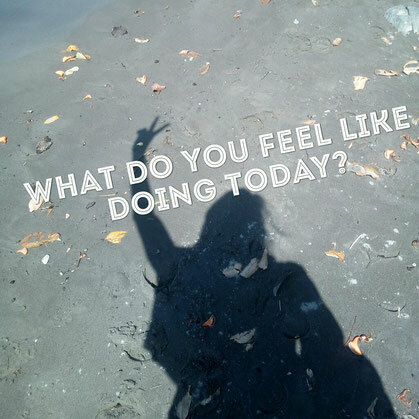 I wish that everyone does it and asks themselves this simple question "What do I feel doing today?" and act from this. In my opinion it can help to be much more productive, creative and more in balance with oneself and the surroundings. In sense of your daily life and work as well. For example wouldn't it be a great concept if we have at work just a certain structure and some aims we can do when we are feeling like? Sometimes we don't feel creative, sometimes we don't feel doing something that needs lots of administration. A work model that gives freedom to do the things when someone is ready for it could be more productive and effective as the classic model in which we have inflexible dates and aims. Someone might say at this point that it would be impossible due to certain dates with clients and projects. Well, then it needs to have another organisation too. If it is scheduled to close it brings a lot of pressure for everyone. I would like to invite you to try out to integrate this simple and important question "What do I feel like doing today?" in your daily life. What is that what do you feel like doing right now reading this post? Just doing nothing? Perfect! Just take time for yourself. Just try it out and listen to yourself. Sometimes it might be challenging but I believe it is a great way to connect more with the things you like and feel like doing. And by doing this the other things you have to do will feel much easier to do. And who knows where it will lead you after a while. I also will try to integrate it in my daily routine and I'm curious what will happen :-).